Posted May 3, 2018 in Community by Ed De Jesus. As a retired Senior Master Sergeant with 21 years of service in the United States Air Force, I have the distinct privilege and honor of being a Veterans Guide in support of DaVita’s mission to help other veterans succeed in our Village. The opportunity for me to assist other Village veteran teammates leverage strong leadership skills in support of our mission and values provides me a great sense of pride. The Veterans to Village (V2V) program started as a pilot over a year ago and based on the interest and success of this program, it is now part of DaVita’s University Continuing Education programs. Recently we launched our first V2V program for 2018 and many Village veterans gathered in Houston, TX. We first met for lunch and received instructions related to our selected community project. As I looked around the room, I observed the many faces of those who have chosen to service their country and realized a connection was already developing within hours of meeting. We had the opportunity to visit a horse ranch that provides therapy to first responders and military veterans. We split up into several groups and began the task of mending fences, cleaning stalls and whatever else was needed to support this awesome non-profit organization. In true DaVita and military veteran fashion, we far exceeded the organization’s expectation with the amount of work we were able to achieve. I noticed an amazing shift in the group’s interactions compared to the ride to and from our community project. We went as DaVita teammates and left has a band of veteran brothers and sisters who share the passion of service to community and country. What seemed like a simple community project in support of fellow veterans resulted in creating the strongest bonding moment for a team that we would hope to create over months and years. The remaining day and a half provided many opportunities for everyone to share and learn. The importance of this program for veterans transitioning into the civilian workforce cannot be overstated. They bring multiple strengths and talents while some carry with them scars from military service. This forum provided each participant the opportunity to share similar military experiences and a safe place to open their hearts. This program allows fellow military veterans to create a bond that extends across the Village, providing another level of support and mentorship. 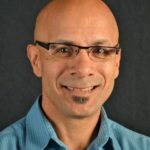 Ed De Jesus is currently a People Services Manager in the Trailblazers Group out of Atlanta, Georgia. He has been employed by DaVita since June 11, 2011. Prior to coming to work for DaVita, he worked as a Human Resources Business Partner at Presbyterian Healthcare System in Albuquerque New Mexico. He is a retired United States Air Force Senior Master Sergeant with 21 years of Service. He was raised in the Bronx, New York City prior to joining the military. Hello, I am a newly retired Staff Sargeant of the Army National Guard fwho joined the DaVita Village on April17, 2018. I would love to become a part of this group of fellow service members. Thank you in advance!